With over 35 years’ experience in floristry, we are the go-to experts to obtain the freshest, most beautiful flowers in Melbourne. Flowers are our passion and we pride ourselves on our leading-edge designs which combine modern flair with exceptional attention to detail. As the Melbourne florist of choice for our city’s best Hotels, Restaurants and residential precincts, we stock and create beautiful fresh flower arrangements, bouquets and posies as well as plants, chocolates and gifts. 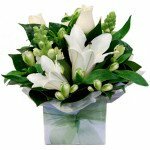 To add to our renowned service, we offer reliable flower delivery throughout the Melbourne CBD with same day delivery of flowers ordered online to a majority of Metro suburbs. 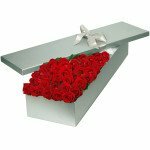 We guarantee satisfaction and top quality service whenever you purchase our flowers. Delivery around Melbourne on the same day is assured when you place your order by 2pm on business days or by 10am on Saturdays. Simply visit our secure online shopping store to place your order or call us on (03) 9421 5558. 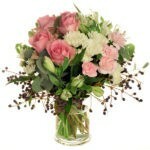 We are aware of the importance of urgency when sending flowers. With us, you can have peace of mind that your order will be delivered on time while staying fresh and vibrant. 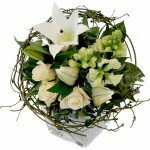 We have specifically designed our delivery systems to cope with the busiest of schedules and offer our Melbourne flower delivery from Mondays to Saturdays. 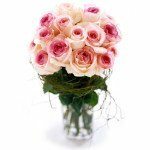 Whether you are ordering flowers for personal or business reasons, Melbourne Florist can cater for occasions in the Melbourne CBD that range from Valentine’s Day, Mother’s Day, birthdays and anniversaries, the arrival of a new baby, and weddings, through to corporate events, presentations and functions. 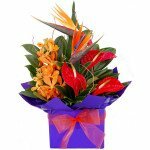 As one of the best and most experienced florists in Melbourne, our flower shop offers you a large range of fresh flowers to choose from, including roses, gerberas, orchids, lilies, bird-of-paradise, Australian natives, and seasonal blooms and plants in keeping with different times of the year. 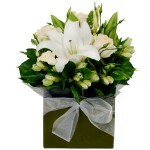 You will find a beautiful variety of bouquets and arrangements that we have created especially for our online store. Or you can call us to discuss your options so we can create a ‘one-off’ tailored flower arrangement just for you. 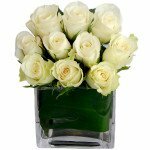 We understand that flowers communicate a variety of intentions from the sender to the recipient, expressing such feelings as love, romance, get well thoughts, friendship, apology, congratulations and sympathy. Our experience and creativity with fresh flowers will help you to convey the very emotions, thoughts and feelings that you wish to express. As well as our large range of quality fresh flowers, we also provide those little extras, such as teddy bears, plush toys, balloons and luxury chocolates to add to your flower order for an extra special touch. 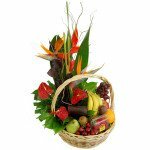 We also create healthy and delicious fruit baskets to order. We believe that gifts complement flowers beautifully for any occasion and can combine these to your specific requirements. 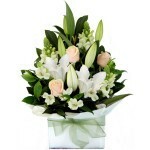 Or you can choose from our range of pre-designed flower and gift combinations from our online store. As a premier florist in Melbourne, you can count on us for providing some of the most beautiful fresh floral arrangements as well as reliable delivery on the same day right throughout Melbourne. Simply order with us from Mondays to Fridays by 2pm or Saturdays by 10am for guaranteed delivery on the same day. We always go out of our way to help cater for urgent, last minute flower deliveries, so simply call us on (03) 9421 5558 to discuss your options. 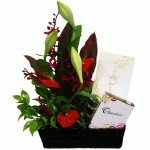 So whether you are sending beautiful flowers, hampers and gifts to the Melbourne CBD, Richmond, East Melbourne, Docklands, Hawthorn or anywhere in the Melbourne Metro area, you can entrust us to deliver on time each time to the delight of the recipients.